One of the best ways of learning how light and color work is to paint the same subject in different environments. 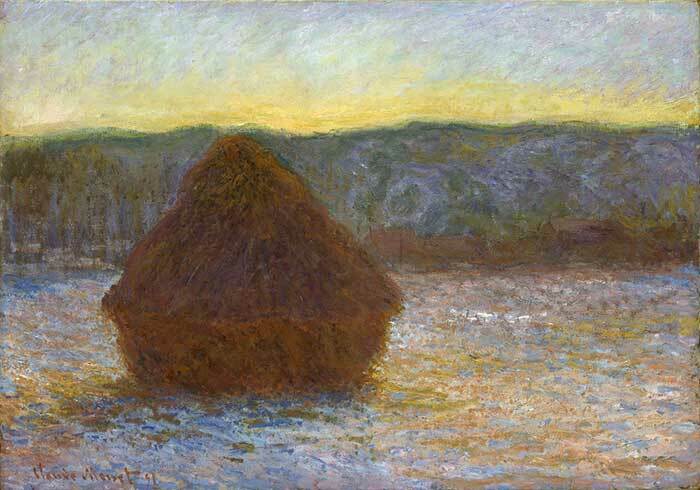 Claude Monet did this all throughout his career, most notably demonstrated through his many haystack paintings. 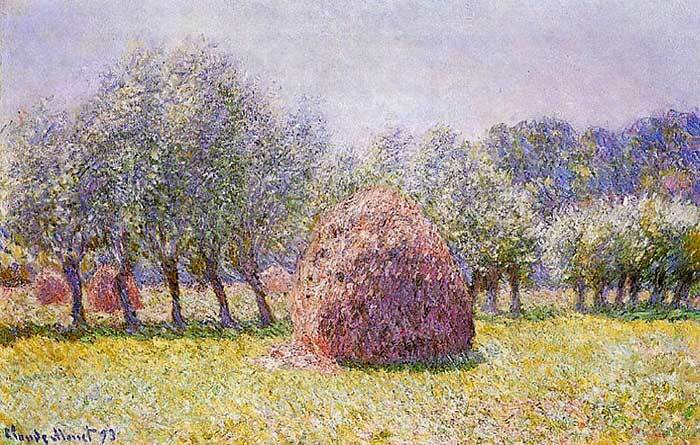 Claude Monet did so many paintings of haystacks you would think he had some kind of obsession with them. But each painting is unique and is a fantastic demonstration of how light and color work in different environments. 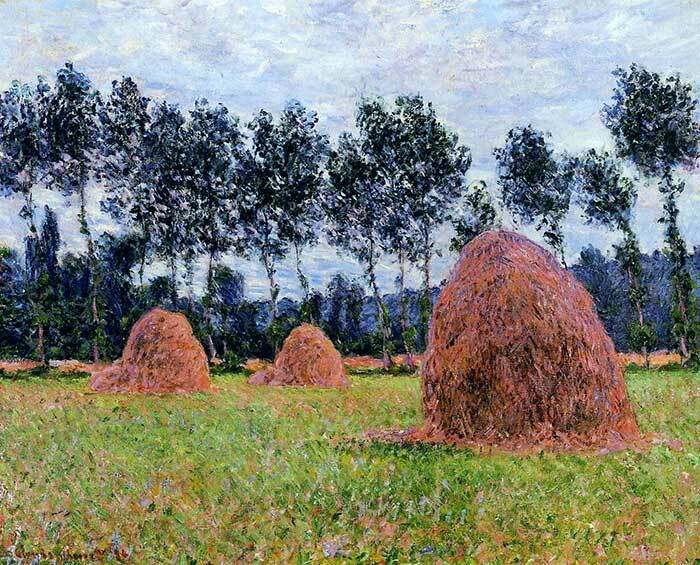 Let's go through some of his haystack paintings. 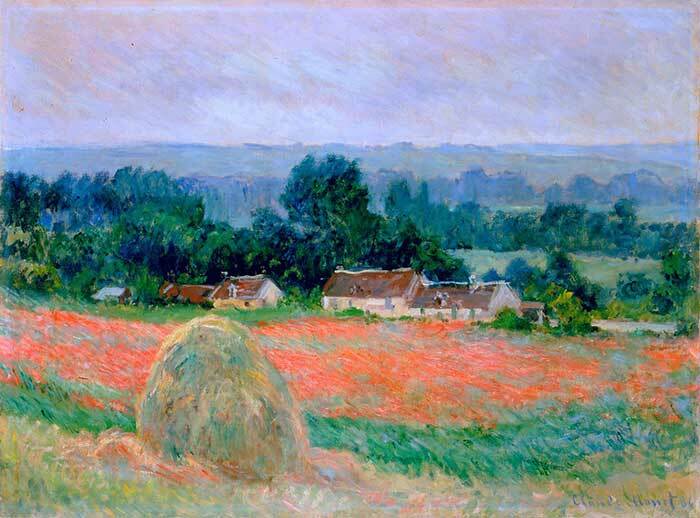 Monet indicates clear weather by using bright colors, sharp details and a balanced color harmony. 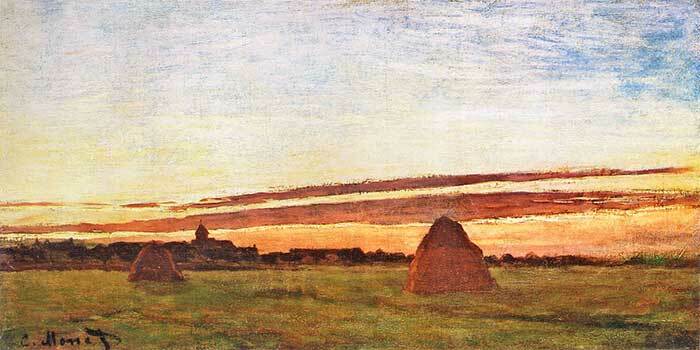 The haystack painting on an overcast day is similar to the clear weather paintings, however slightly darker, less vibrant and with a generally cooler color harmony. 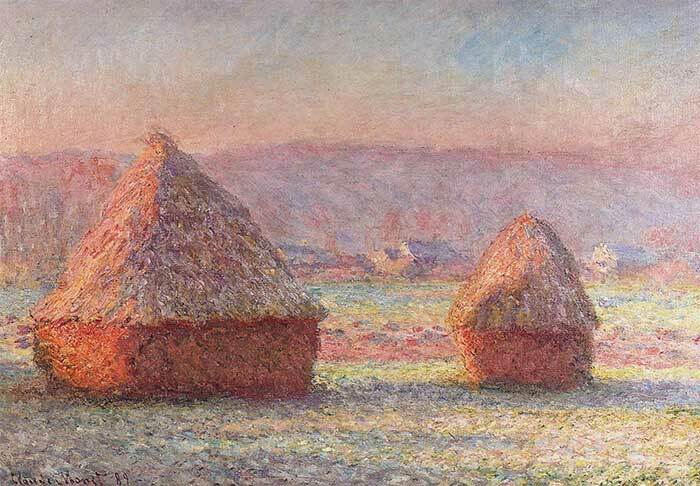 Monet indicates frost on these haystacks by using lighter and cooler colors. Notice the hint of blue and purple throughout the paintings. 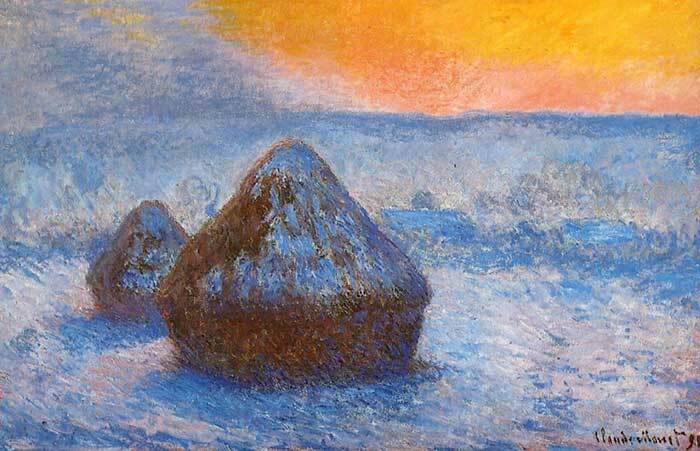 Here Monet indicates snow by using much cooler and darker colors, contrast against the vibrant sun. 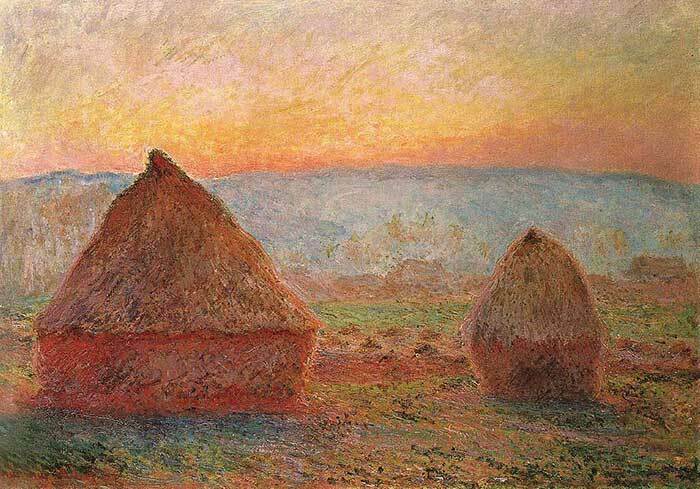 In this painting the mist is indicated by reduced clarity and contrast between elements. 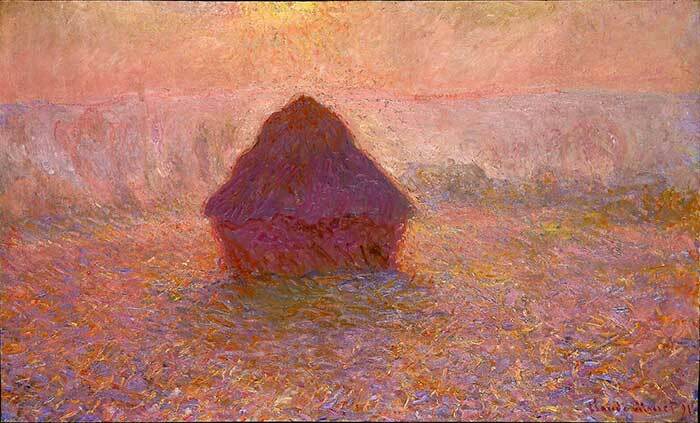 The haystacks at sunrise / sunset are vibrant and demonstrate a stunning contrast between warm lights and cool darks. As you can see, there are many ways you can paint the same scene. 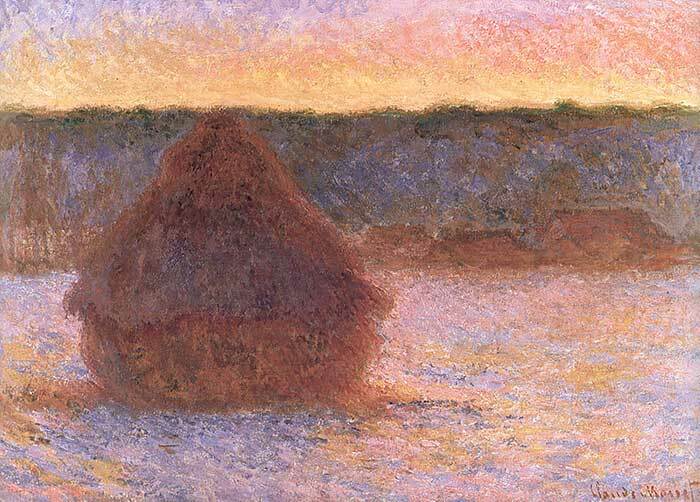 By painting the haystacks in many different environments, Claude Monet was able to clearly demonstrate his brilliant understanding of light and color. Every painting is extremely unique despite the same subject being used. You should try using this method for yourself and paint the same scene in different environments. 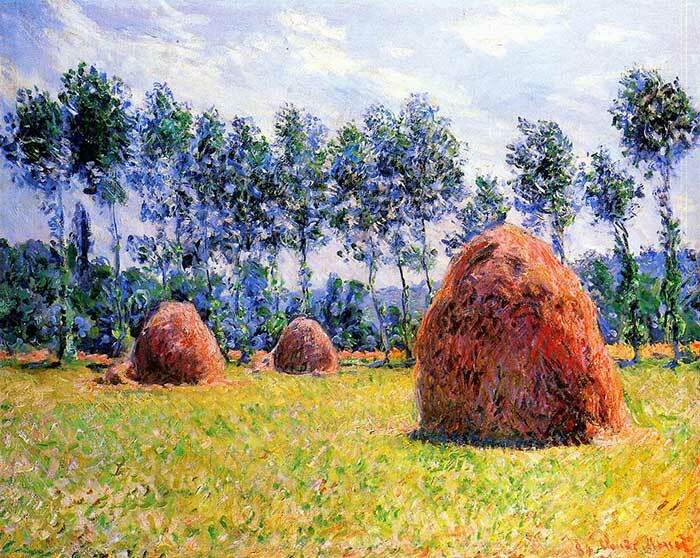 It does not need to be a haystack of course. It can be any scene, but keep it simple. What you want to learn is how light and color work, so you want to be able to focus on those elements. Thanks for joining me. If you have any comments, please share them below. Thanks for this wonderful lesson. I just took some photographs of some hay bales yesterday. 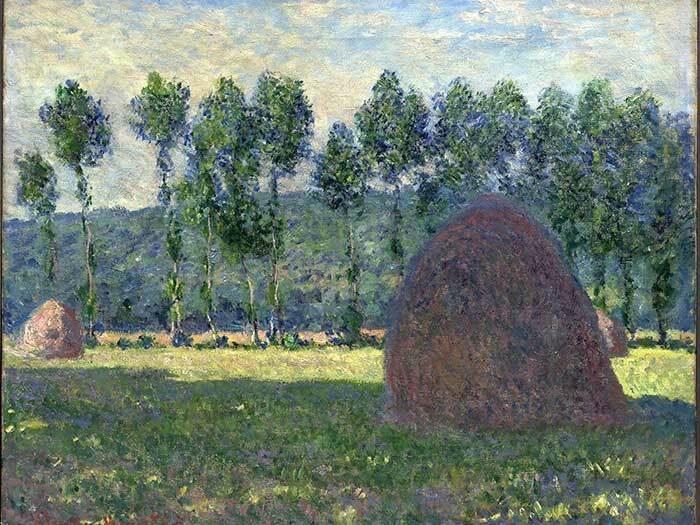 I appreciated seeing Monet’s interpretation and seeing how he painted in many different environments. Thanks for the inspiring newsletter. Thank you again. I am learning so much about light, contrast, value etc. I love painting . Its like stepping into another place in time. 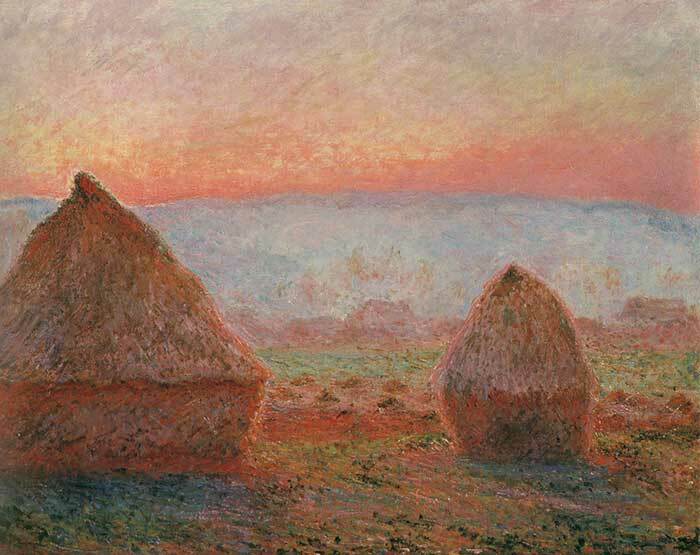 I have always been intrigued by Monet because I usually try to be so perfect and then give up because i get lost in the detail and know that less is probably where i need to go when drawing or when I finally give myself the less is more option to delve into painting as well.